The late Michael W Cline had been a respiratory therapist since 1976, and had instructed at Tacoma Community College for over twenty years. Throughout, he had been a licensed pilot, a certified scuba diver, a licensed real estate agent, and a stay-at-home dad, at which time he published a manual on wood strip boat building. 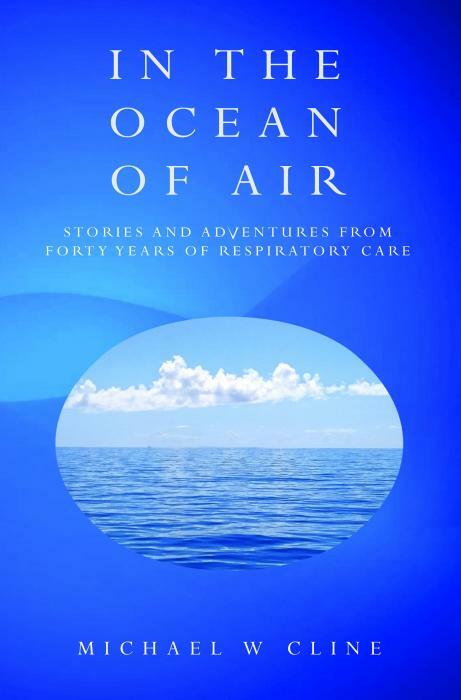 But despite the many spin-offs and elusive dreams and schemes, respiratory therapy held serve as his occupation. He lived in Tacoma with his wife Tara, and had two children, Chris and Kaela. Michael Cline had forty years of experience as a respiratory therapist. The stories which he has to tell about this life's work range from the comical and chaotic to the moving and inspiring. Cline had his eyes open for the sheer human interest in his narratives, as well as for their connection with his medical specialism. His memoir covers topics as diverse as honeymooners who carefully arrange for the supplies for their hiking trip to be dropped in by air, only to find themselves retrieving slices of bacon from the nearby woods; a karate instructor, high on angel dust, who has to be forcibly restrained by six hospital staff; and the courage and wit of lung-transplant recipients who complete remarkable triumphs over adversity. Cline's humane, wise and funny book will delight and instruct readers of all kinds and backgrounds.